This amazing wallbowl was made from hand pulled canes featuring shades of gold topaz and real gold adventurine for a real gold sparkle. The more light you shine on it, the more it sparkles! 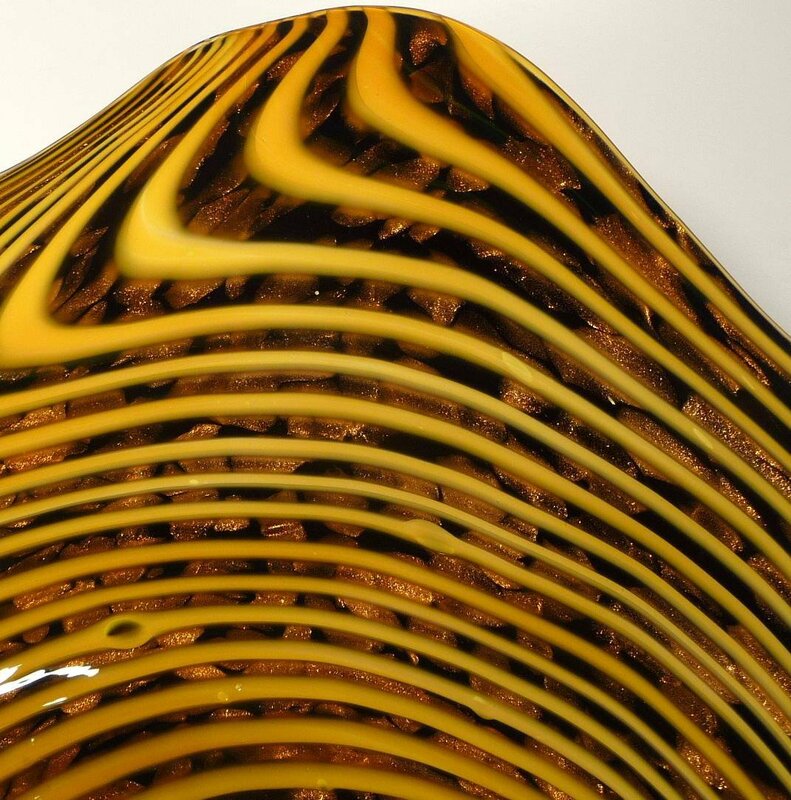 Make sure to zoom in to see the intricate design and depth of this remarkably complex piece. 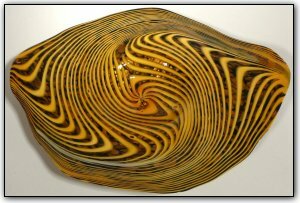 Wallbowls can be hung on a wall just like a picture, or it can be set out as a table platter. To hang the bowl on a wall, all you need is a secure hook on the wall and a hanging apparatus comes along with the bowl. Hanging the bowl is a breeze and should take less than 10 minutes. You won't believe the compliments you are sure to receive when displaying this breathtaking wall bowl!